On my honeymoon, I realized that I really needed a mini tripod for long exposure shots at night or right before sunset. I use mini tripods to put on table when I the shutter speeds are longer than 1/60. Of course the camera stores in Italy didn't have this one and I packed really light on that trip. So the first thing I did when I got back was to make sure I get this. 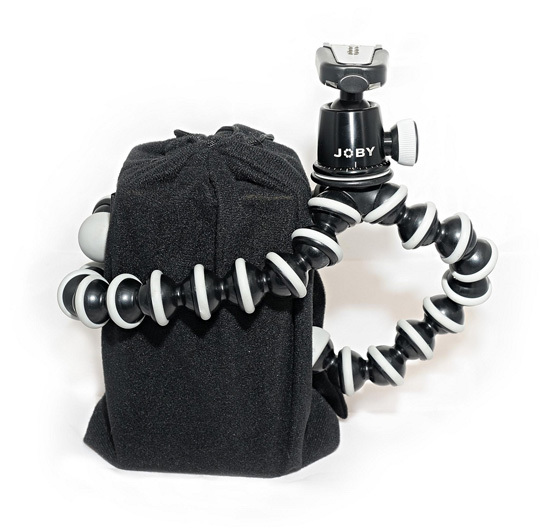 You should check out Joby.com to make sure you get the right one for your needs. I got the model (SLR-Zoom) that can handle up to 6.6 lbs. The ball head with level is important for my needs. This makes it easy to swivel the camera and the level makes sure I am perpendicular to the ground. Because I was shooting with the Horizon Perfekt camera, the level is important so my photos are not distorted. Also the tripod legs bend easily and can grasp things which means you can mount to number of things. In my opinion this is a must own and I will be taking it with me everywhere.